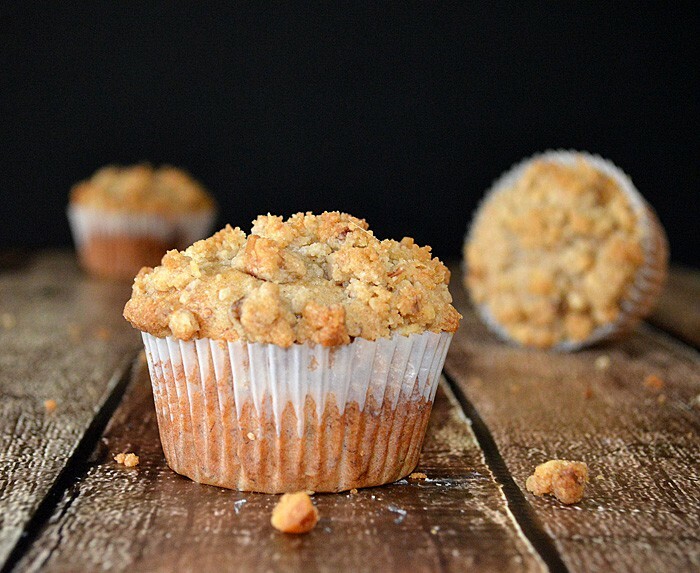 In a small bowl, mix together the margarine, walnuts, brown sugar and flour for the topping using your fingers until crumbly. Set aside. In the bowl of an electric mixer, cream together the margarine and sugar. Add the applesauce and the vanilla. Combine the flour, baking powder, salt, baking soda and cinnamon. Add to the creamed mixture just until moistened. 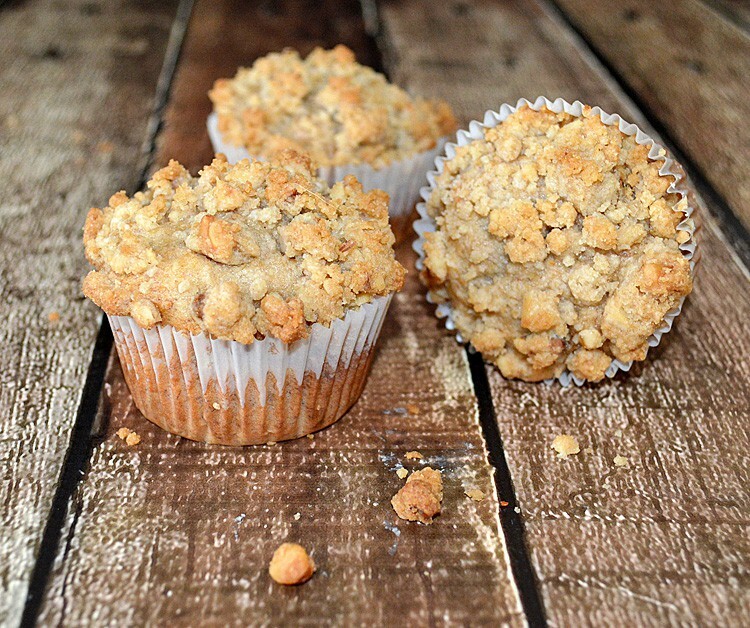 Spray muffin cups with cooking spray OR use paper liners. Fill 2/3 full with batter. Do not overfill. Finish with a sprinkle of the topping mixture. Bake for 15-20 minutes or until a toothpick inserted comes out clean. Cool 5 minutes before removing from the pan. What great pictures! 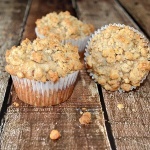 These are wonderful and I love to streusel toppings! I made a great mango muffin is a streusel topping, but I really should do them more. Thanks for the idea!